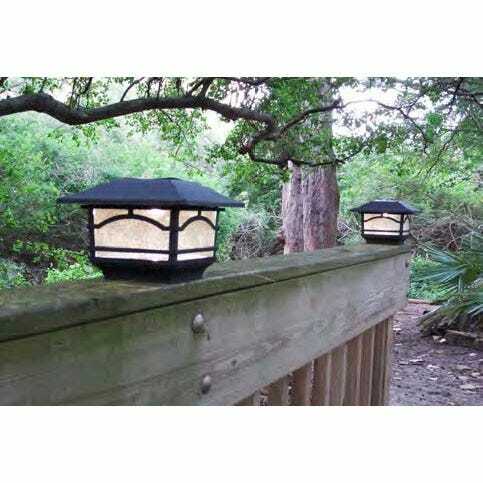 These high quality Solar Post Cap Lights require no wiring and install on your 4" x 4" or 6" x 6" posts and deck railing in seconds. 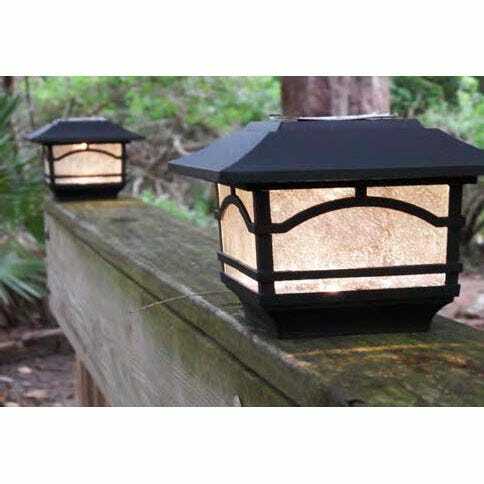 Each Post Cap features two warm white LEDs providing 15 lumens of ambient light. 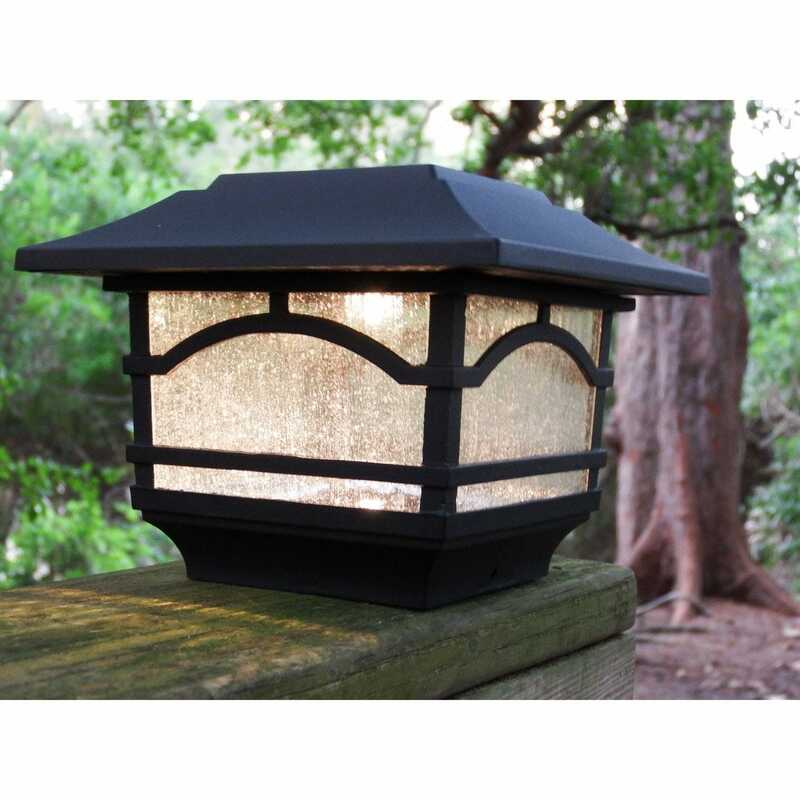 Aluminum construction means these Lights won’t rust and a glass lens adds to the elegant appearance. 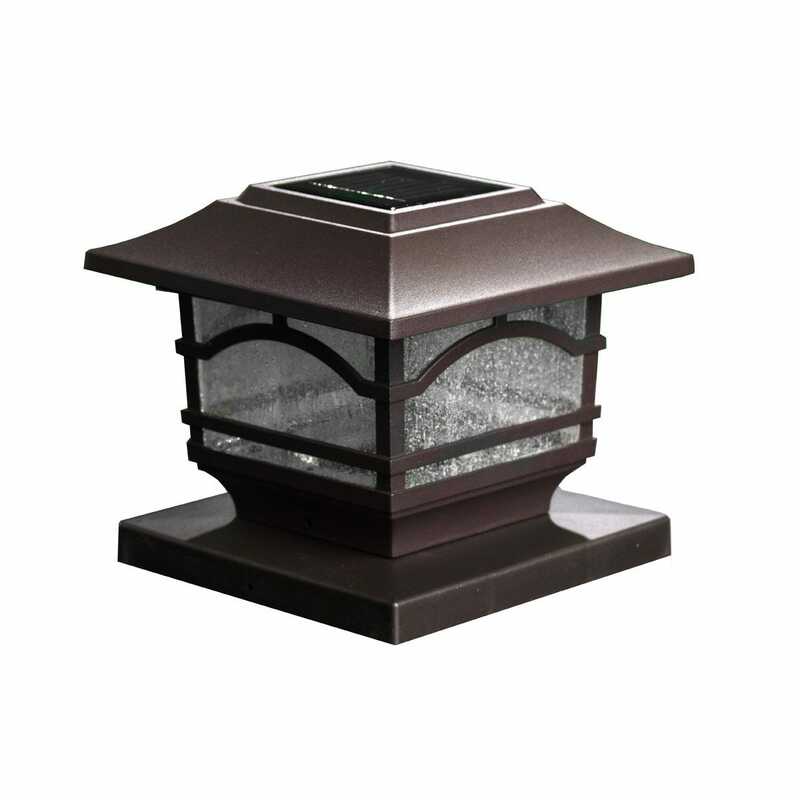 As night falls, a photocell automatically lights the Post Caps casting a subtle downward glow. 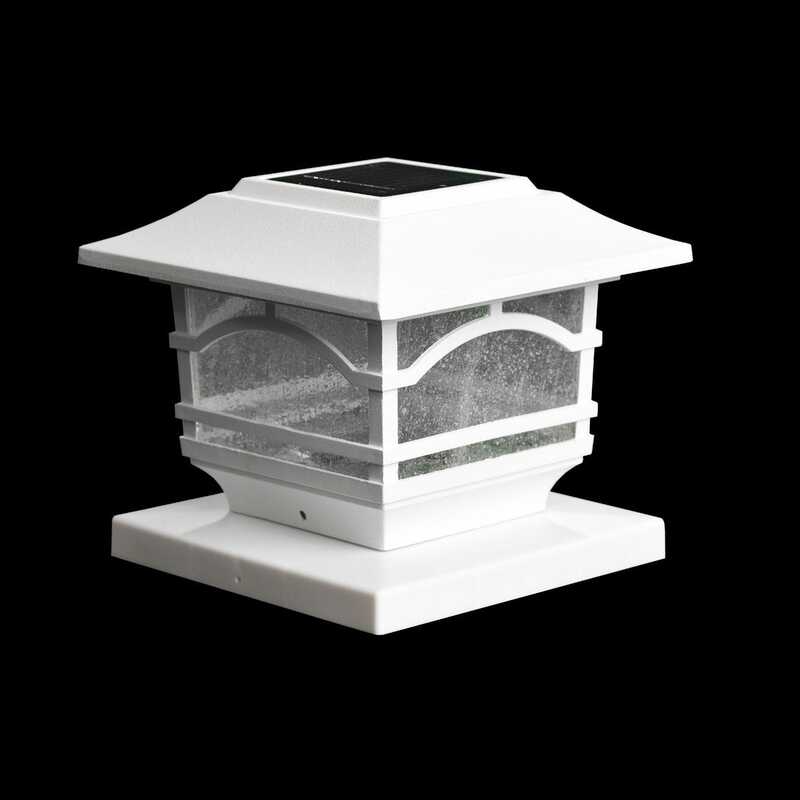 An integrated solar panel fully recharges the included 3.2v Li-ion batteries in 8 hours of sun light providing up to 8 hours of run time. 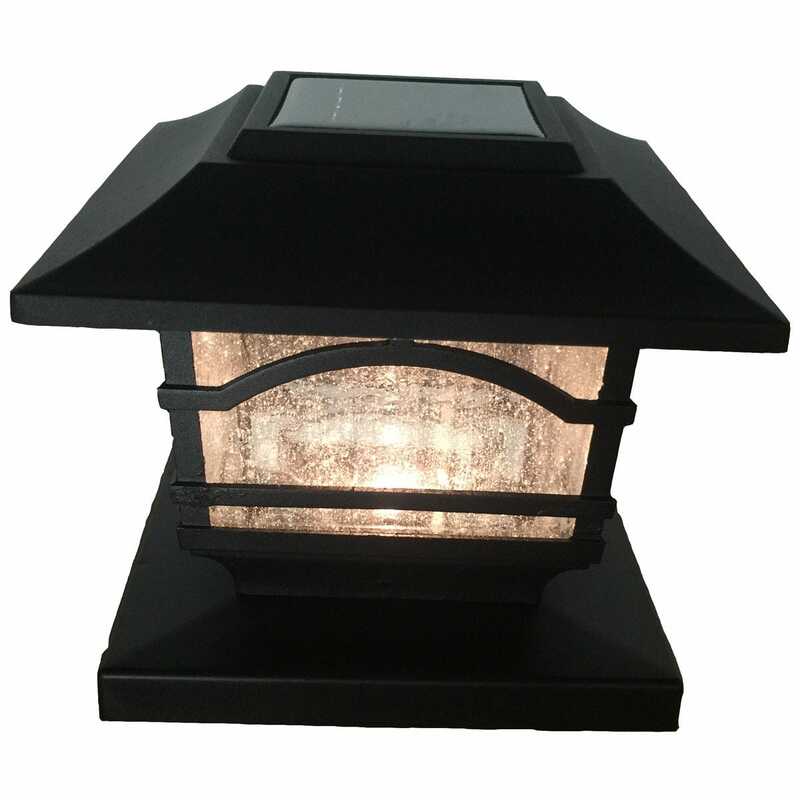 Can be mounted with the included hardware. 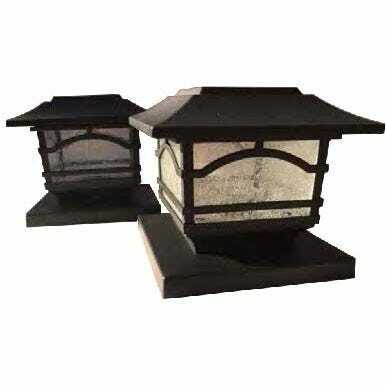 Each Light measures about 7"l x 7"w x 5 1/2"h. Set of two.